By George L. Cook III African American Reports. 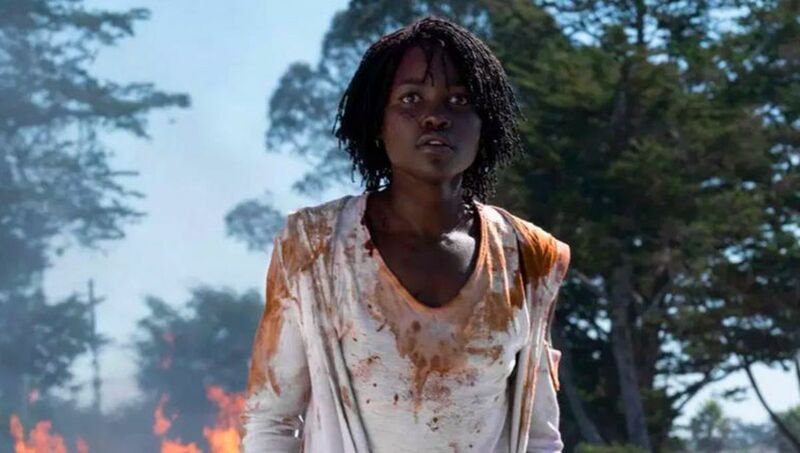 'Us', Jordan Peele's followup up to his 2017 hit 'Get Out' exceeded all expectations by grossing an estimated $70 million plus in its opening weekend. Early projections varied from $40 to $60 million. The $70 million weekend was an outstanding launch for the film which had a budget of $20 million. 'Us’ now has the third highest grossing horror film weekend behind only "It" which opened with $123.4 million and "Halloween (2018)" which launched with 76.2 million. 'Us’ will pass the $100 mark and should have no problem reaching and $150 million mark. The questions are with the movie's polarizing ending does it gross more than the $176 million 'Get Out' made or does it pass $200 million domestically because of repeated viewings by those trying to decipher the ending? 'Us’ was by written, produced, and directed by Jordan Peele. The movie stars Lupita Nyong'o, Winston Duke, Shahadi Wright Joseph, and Evan Alex .